In addition to all-German and all-Russian ties in the Last 16 of the Eurocup, there is also an all-Turkish clash. This sees Pinar Karsiyaka Izmir hosting Galatasaray Istanbul and this will be the second time this has happened this season. The two teams clashed in the Turkish league in late December and it was a big evening for the home team. This is because Pinar managed to grab a 97-92 win in that game and they will be looking to do the same, if not win by more, in this clash. A large part of the victory must be placed on the shoulders of Josh Carter, who grabbed 26 points and Bracey Wright, who served up 21 points. This will be the sort of finishing accuracy that the hosts need to see this week. The hosts were in great form in their last two Last 32 games, winning by 33 and 43 points. They were “must-win” games but the fact that Pinar triumphed with plenty to spare suggests that they are a team that can handle the pressure. While Galatasaray lost in December, they know that there wasn’t too much in it and that there is scope for a reversal in this match. There is also the fact that a narrow defeat may not be too bad with the second leg of the content looming. 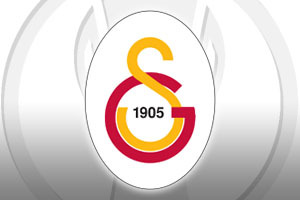 However, Galatasaray come into this with a high score in the performance index rating, 98.4 per game, and they are the second best team in the scoring rankings, with 85 points per game. With Errick McCollum looking likely to return to the Istanbul side’s line-up, the boost that comes from having your top scorer back in the side could help the away team achieve a great result in this game. Taking Galatasaray Istanbul at +2, at odds of 1.90, looks like being an interesting bet in a game that could be very close. If you are looking at the Over/Under market for this game, you should take a look at going OVER 160.0 which you can find at odds of 1.90. Bet Now!